The overnight search and rescue operations at the Majerhat bridge collapse site in the south Kolkata continued on the morning of September 5 morning to find those possibly trapped in the debris, officials said. 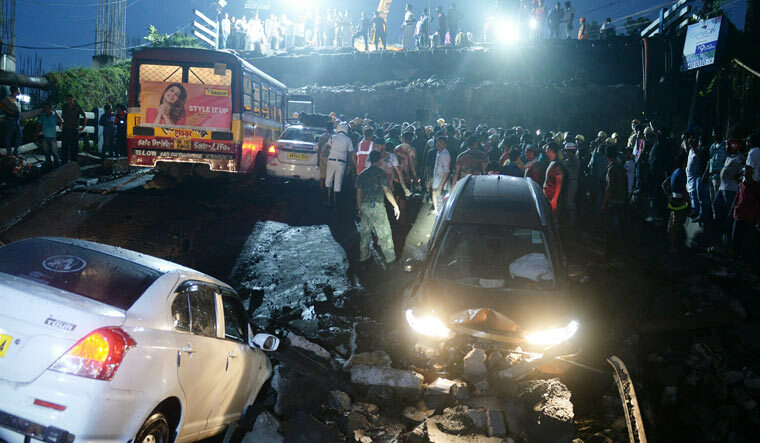 A section of the over 50-year-old bridge on the arterial Diamond Harbour Road in south Kolkata collapsed on the evening of September 4, killing one person, trapping several people and crushing many vehicles. The Majerhat bridge in the crowded Alipore area had caved in around 4.45 pm on September 4. Banerjee has said that a probe would be conducted by a committee headed by Chief Secretary Malay De to find out the cause of the collapse.